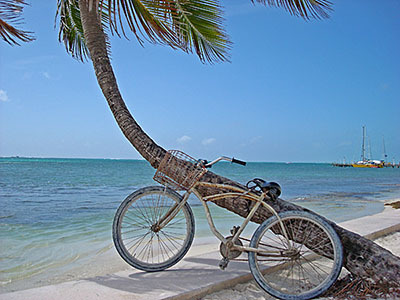 "This grab shot was taken on a recent trip to San Pedro, Ambergris Caye, Belize," said Neil Martin. This is the most common mode of transportation on the island along with many golf carts and a few van type taxis. Belize is a great place to visit with many photo opportunities from beaches and colorful towns to Mayan ruins and jungle wildlife." Neil used was a Sony DSC-W90 point and shoot: 1/400 @ f/8 ISO 125. Nice one, there is actually some good facts on this blog some of my friends may find this worthwhile, I must send a link, thank you.